2016 has definitely been a year full of mistakes and reflection reflection. If you're like me, then the fall season will be used to evaluate past mistakes and plant the seeds to do better come next year. There were lots of ups and downs along the way but one thing was certain - there was work to be done that couldn't be avoided. If you would have told 17-year-old Arielle that she would be a full-time writer...just no. Writing was always a talent of mine, and I genuinely enjoyed doing it, but I didn't see it being such a big part of my future. How I ended up here is less about the ability to do so and more about my level of willingness. I had to accept the fact that denying my talent was doing the universe a disservice, so here I am! 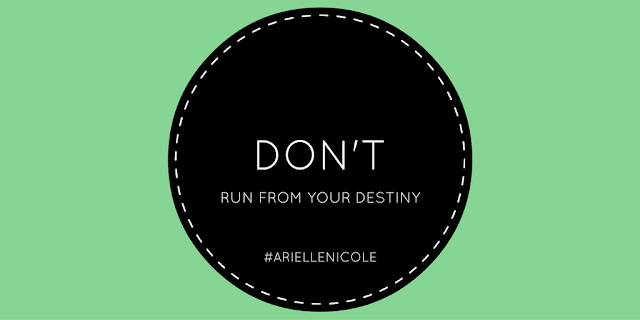 There is nothing you can do to derail the plans that have already been made for you. Since your talent and your passion will always collide, opportunities will reveal themselves more and more often. It's nobody's fault but your own if you don't take them. You'll never be truly "ready" for what's in store; keep in mind that uncertainty leaves room for better creativity. The best course of action is to accept the potential challenges and dive in head first. Every aspect of life will see changes, positive and negative. Your social, mental/emotional and physical well-being will always be influenced by one another and will affect your work, and vice versa. Watch how you take care of yourself and who you hang around, because those decisions will propel you closer to your destiny, or hold you back.